This melody makes use of the tie. A tie extends the duration of a note from one measure to another. 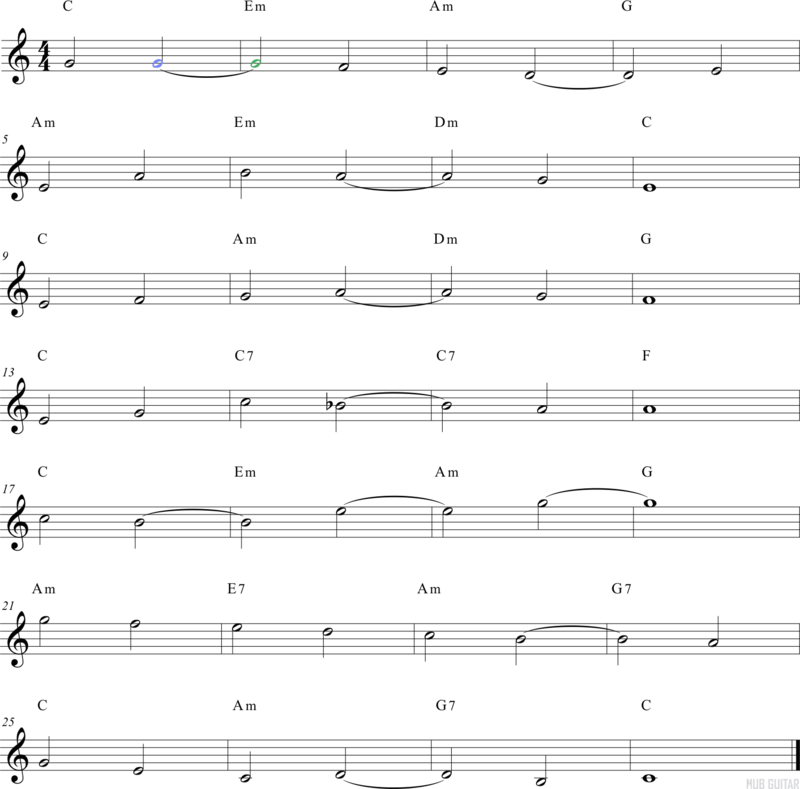 In the second half of measure one, there is a half note that is tied to another half note in measure two. This means the first half note is not repeated, but extended into the beginning of the next measure.